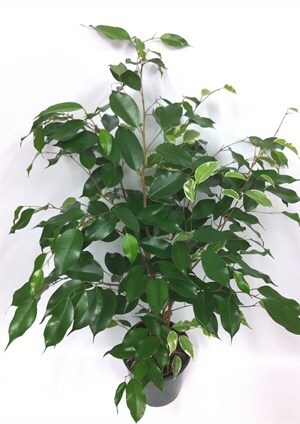 Ficus Benjamina ‘Exotica’ is Evergreen a tree looking plant that grows to around 1 metre tall (when in a pot). Has shiny, bright green leaves and semi-pendulous brances. Ficus Benjamina ‘Exotica’ is an excellent indoor plant in cooler climates or outdoors on patios and verandahs in frost free areas. Indoors place in well lit positions, keep soil moist but not wet. Drier during the winter. Feed regularly with liquid fertiliser. Use premium potting mix if planting in containers. 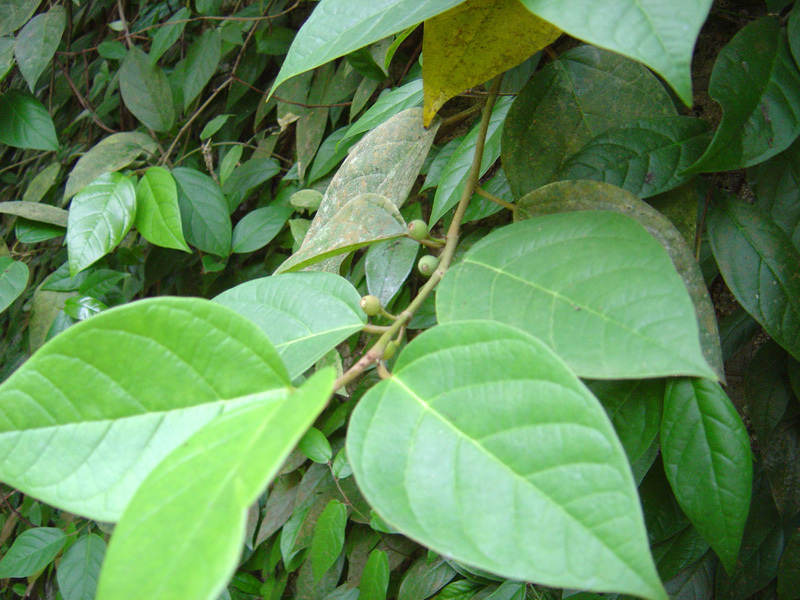 Outdoors plant in a partly shaded, sheltered position in humus rich, well drained soil. Uses: Ficus Benjamina is known to remove common airborn toxins and increase oxygen levels. Distribution and habitat: Ficus microcarpa is native in the range from Sri Lanka to India, Taiwan, the Malay Archipelago, the Ryukyu Islands, Australia, and New Caledonia. It is a rapidly-growing, rounded, broad-headed, evergreen shrub or tree that can reach 15m (49 feet) or more in height with an equal spread. The smooth, light grey trunk is quite striking, can grow to around 1m (3.3 feet) in diameter, and it firmly supports the massively spreading canopy. 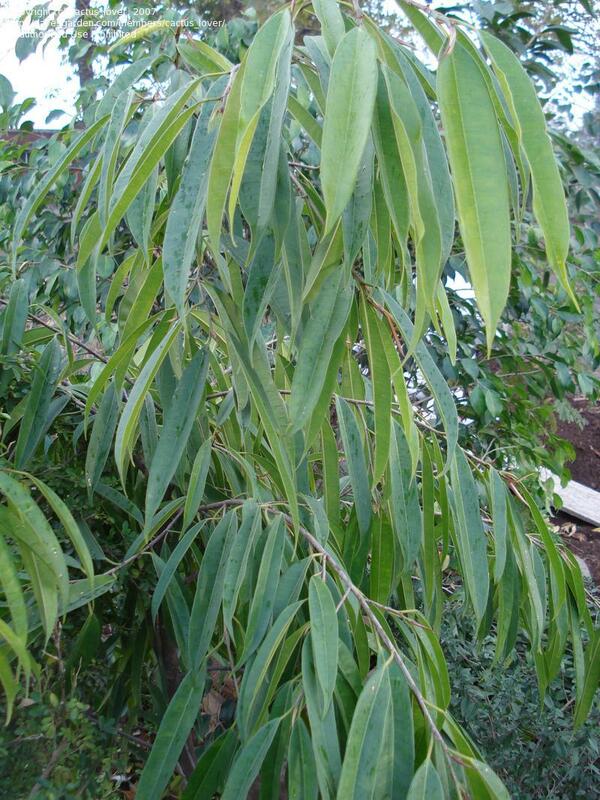 The glossy, dark green, leathery leaves are densely clothed on large, somewhat weeping branches. New growth, produced all year long, is a light rose to chartreuse color, giving the tree a lovely two-toned effect. 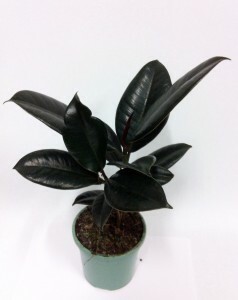 Description: Ficus microcarpa has deep green, elliptic shiny, smooth, 8cm (3 inch) long leaves on short, erect much-branching stems. It also bears small incredible fruit occasionally. Because this plant can withstand quite a lot of nipping out of shoots, it is often trained into specific shapes, such as standards and pyramids. The root system swells and stores water and nutrients to allow the plant to survive in harsh environments without food and water for long time, making it an excellent indoor plant. Roots will continue to swell as the plat gets older and with some training can be grown into amazing Bonsai. 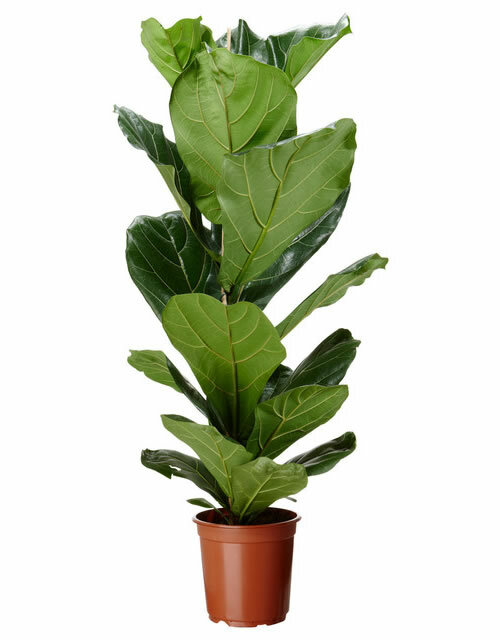 Houseplant care: If grown in large pots the Ficus microcarpa will grow rapidly, if kept in small pots they can be kept miniature for life, final size depends on watering, feeding and trimming given to the plant; you are in complete control. 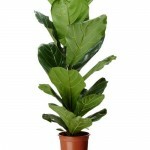 Every Ficus microcarpa grown indoors should have its leaves sprayed clean regularly to free them of accumulating dust. Light: Ficus microcarpa does well either in medium light or in a position where they can get some sun each day. Temperature: Ficus microcarpa require normally warm room temperatures. It can be acclimatised gradually to a wide range of temperature. In very hot rooms a careful watch should be kept for red spider mites which thrives in dry heat. The Ficus microcarpa can be grown well in any outdoor positions and will tolerate any frost free climate. In frost areas leave plant under light cover or indoors when severe frosts are predicted. 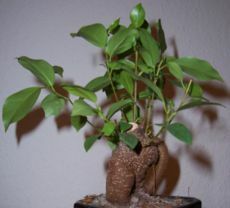 When temperatures drop below 13°C (55°F) Ficus microcarpa may suffer long-term damage, especially when the plant is young. Watering: Ficus microcarpa appreciate some moisture at the roots. Allow the top half of the potting mixture to dry before watering again. This plants can dry out for long periods, but prefer to stay moist. 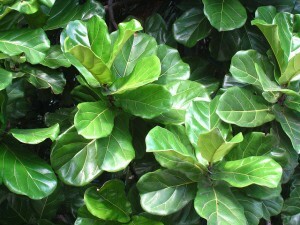 Fertilising: Use a standard liquid fertiliser at half strength every week while Ficus microcarpa is in active growth. Once the fig rests in the fall allow it to go without fertilizer. Never fertilize a sick or dry Ficus microcarpa. 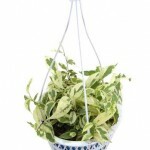 Potting and repotting: Repotting is best carried out in spring. Use a soil based potting mixture for Ficus microcarpa. Do not overpot; these plants like slightly cramped root conditions. Use pots that look as if they are a size too small for the plant. Move plants into pots just one size larger when repotting becomes clearly necessary – as indicated by the emergence of lots of roots through the drainage holes and possibly by the appearance of a network of fine roots on the surface. 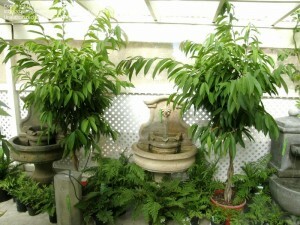 When maximum convenient pot size has been reached, top-dress the plants annually with fresh potting mixture, in spring. Water carefully until Ficus microcarpa re-establishes. Less water will be needed in the first two weeks after repotting. Do not put the newly repotted fig into sunlight but place it two weeks in partial shade for adaptation. Propagation: Ficus microcarpa can easily be propagated from cutting of stems, above 15cm (6 inch) long, taken in spring and inserted in 8cm (3inch) pots of moistened equal parts mixture of peat moss and sand or perlite. Take the cuttings immediately below a node and carefully remove the lower pair of leaves before potting the cuttings in the rooting mixture. Enclose each potted cutting in a plastic bag and keep it at normal room temperature in bright light filtered through a translucent curtain. As soon as new growth appears, indicating that rooting was occurred, remove the bag and water the cuttings enough to keep the potting mixture just moist. When the new plant is well established (in about four months) move the plant into a pot one size larger containing same potting mixture as adult plants. Air layers are also quite easy to accomplish, but takes a good deal of time. Fertile seeds are available from some tropical seed sources. Uses: The Ficus microcarpa is very widespread and found in landscapes and as a container tree in many countries of the world. 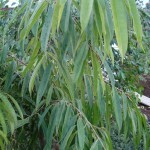 It is used for boulevard trees in many frost free cities. 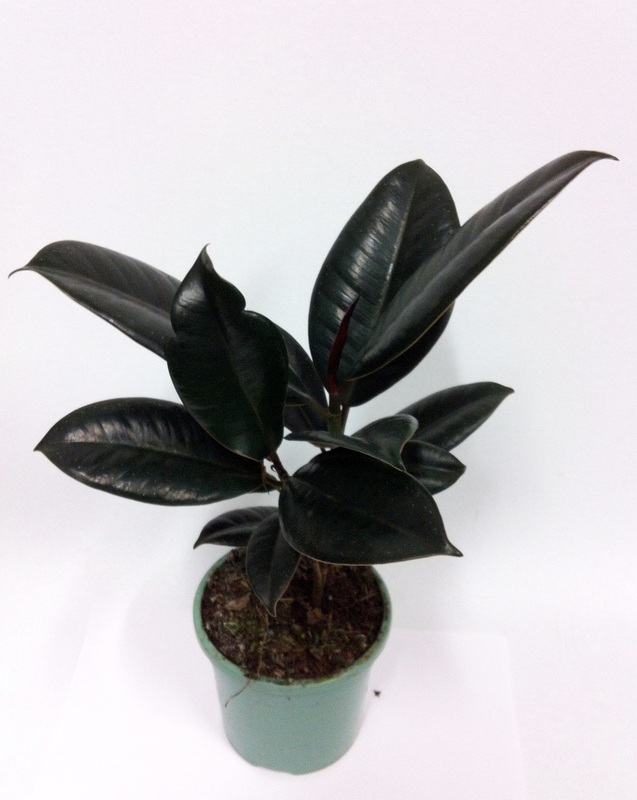 The Ficus microcarpa can be treated like any normal indoor plant, a bright sunny position is recommended, in darker positions stems will elongate. Cut back branches as they get too long or train branches with wire to form shapes. Ficus microcarpa is one the finest trees for indoor bonsai and tolerates a wide range of indoor conditions. It has good bonsai character, lovely gray bark, and superb basal root flare. It tolerates the beginner’s efforts and still makes a superb addition to the advanced bonsai grower’s collection. 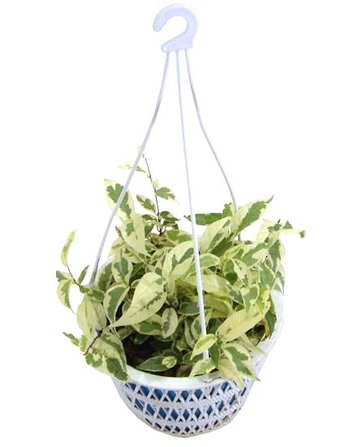 This plant is used extensively in Feng Shui planning. Ficus microcarpa are usually infested with thrips. Mealy bugs may also be an occasional invader. Treatment: These insects attacks can be treated with appropriate pesticide. Follow the instruction on pesticide label. Overwatering may cause root rot.